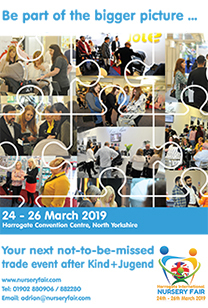 With BBC Radio York claiming: "HUGE had 10,000 people dancing in the streets of York for BBC Music Live – it looked like Glastonbury," The entire nursery industry is in for a fabulous evening of celebration and dancing. Tickets for the event are just £40 plus VAT and include a three course dinner with wine (sponsored by The Baby Show). These sell very fast so if you would like to attend it is advisable to book early to avoid disappointment. The booking form can be completed online by clicking here. If you wish to download and print the form then please click here. 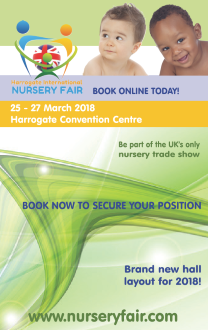 The prestigious industry awards (once again sponsored by Nursery Today) will recognise, what in the opinion of the judges, are the best nursery products on show at Harrogate International Nursery Fair in 2016.